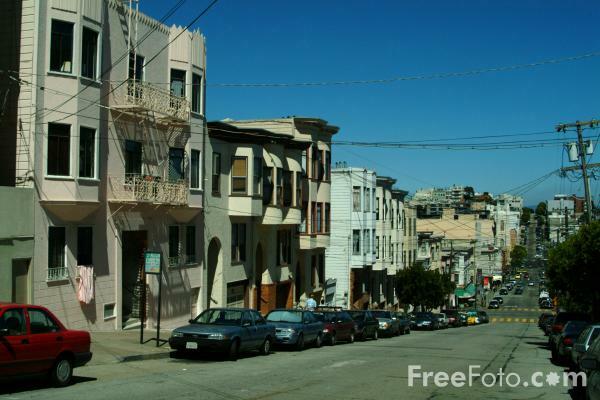 Photograph of a San Francisco Street, California. There are 43 hills in San Francisco. Broadly, the higher up you live, the more successful  or wealthy  you are. VIEW: More images from the category Streets of San Francisco, California or around the same time .